I'm putting slicks on one of my MTB projects with a 13-23 7 speed block. 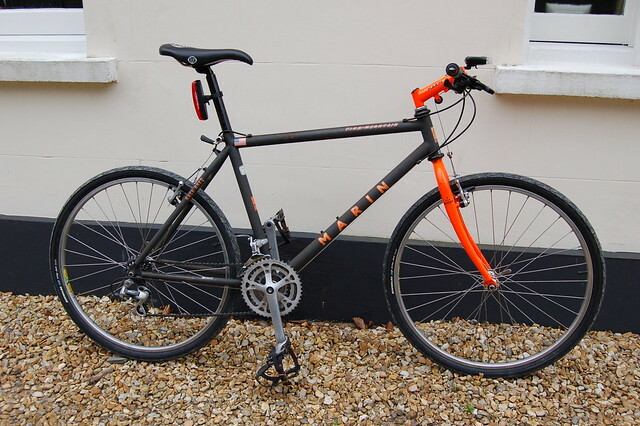 Ideally want to use a short cage rear derailleur and have an XT RD-M732 which is marked with max 28 total 28 which I understand is max cog at rear 28 and max capacity of difference in rear cogs (10 in this case) plus difference at front which is currently 24-36-46 ie 22 and hence total is 32 ie too much. A bit of research says some of the Shimano figs are conservative, has anyone tried this sort of thing. Also I need to replace a couple of jockey wheels, and was wondering does having 10 or 11 toothed jockey wheels make much difference. Last edited by daugs on Wed Apr 24, 2013 9:45 pm, edited 2 times in total. Your setup will work fine. Shimano's figures are for what works guaranteed. Things that throw it out are: short chainstays, thick dropouts, fat seat tubes etc. I reckon you will just about get away with it. Whatever you do, ensure it will work on the big-big combination (it might be a bit rattly) - small-small might have the chain tension a bit loose. Worth a try I think. Ride it or milk it! Location: It's not easy being a dolphin. Not worth the petrol to take it to the tip so it's down to the angle grinder to make it small enough to put in the wheely bin. The best case is that the chain goes slack on small-small, which is fine. Whatever you do, ensure you can engage big-big. 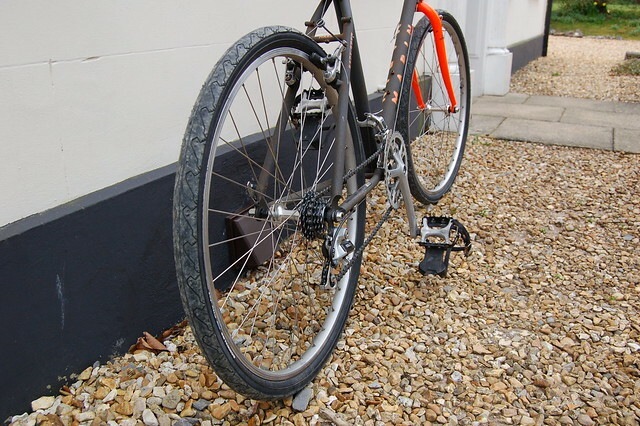 If the chain is too short it tends to stuff the rear mech into the spokes, followed by a collapsed wheel and crash. I've always checked the chain length on big-big plus 2 links (without gears) when fitting to get the right number of links rather than big-small with gear at vertical ish but is there a definitive way to check chain length ? Your method is exactly what Shimano recommend! Cant find a pic but I ran a Ging chain device with my 32/11t - 39/53t drop bar on-off road work bike. Edit: could be a 30t but it was an XT/ 600 mixamech!